Scorchio!!! That's the only way I can describe the weather we've been enjoying here in Essex over the past week! So that means extra ice cream and ice lollies in the diet, and the excuse to read even more books than normal as it has been TOO hot to do such mundane things as housework or socialising!! You may have noticed that I can always find a good excuse to put off doing things unless it involves reading! 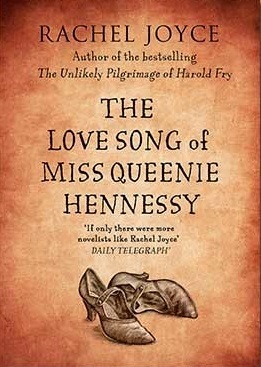 The first two books I read were over the weekend and I've already mentioned them in my blog this week, as I managed to complete the #20booksofsummer challenge and finished with 2 wonderful reads - In Her Wake by Amanda Jennings, and The Love Song of Miss Queenie Hennessy by Rachel Joyce which had me sobbing! 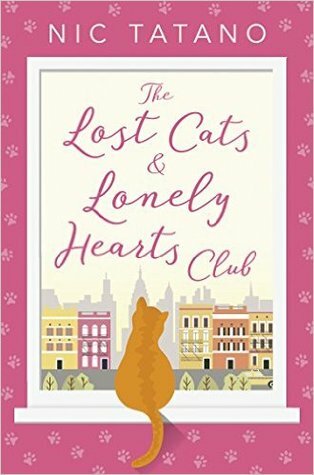 My thoughts - This was such a fun and easy read, that I enjoyed every minute of it! Loved how the arrival of little furry creatures in Madisons life then she was soon able to see a different side to life and a whole new world opened up to her! As a big animal lover myself, it was nice to see the positive effect that animals can have on people and highly recommend this to all! In Newgate prison, a girl awaits trial. "I lie on this hard bed, counting the bricks in the ceiling of this miserable cell"
Accused of murder, she will surely hang if found guilty. "Already the best seats atNewgate Prison have been sold in anticipation"
London thinks of her as a celebrity. "The papers are full of what she does, what she wears"
Whore at the Fairy House. A brothel like no other the metropolis has to offer. 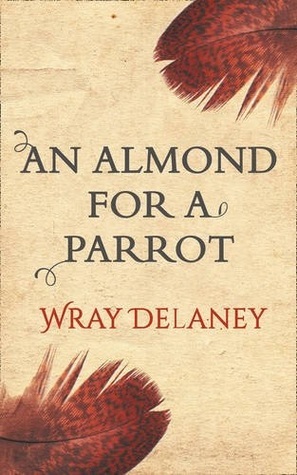 This book is set for release in November 2016, and I was lucky enough to receive a copy via the publishers Harper Collins as I do love reading historical fiction, and this just seemed to be a little different to the others! And it was!! In a good way!! I absolutely loved it! It definitely isn't an easy read at times considering the sexual content (it is very racy and graphic but not OTT!) and Tully has some despicable characters in her life, but she is so plucky and courageous that nothing seems to phase her and she has quite a forward thinking attitude for a girl in a book set in 1756, as she craves independance and education and isn't afraid to answer back even if this isn't always her best option! Really enjoyed the magical element side to the story as well and it all mixed so well that I devoured the book in a couple of days as I was swept up in the story! Definitely worth a read if you are looking for a book that is a little different to the normal historical pieces! 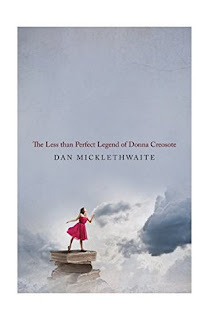 THE LESS THAN PERFECT LEGEND OF DONNA CREOSOTE is a modern fairy tale from the inner city, where the mundane becomes fantastical and the everyday ethereal, but where living happily ever after is often easier read than done." My Thoughts You know when you see a book and it just calls to you?!! Well, this is what happend with this one! I'd seen it on the list for the Not-The-Booker Prize 2016 and when I saw it was available on Kindle for 99p I couldn't resist! And i'm glad I couldn't resist as it was an absolute gem of a read!! Felt I had so much in common with Donna Creosote (although i've never dressed up as a Knight or Princess in public, but am now tempted!) as she is just a lover of books and has some ingenious methods of book storage ideas at her flat! Such a quirky title with many laugh out loud moments mixed in with touches of sadness that it has my vote for the award! The Blurb How do you find a missing child when his mother doesn't believe you have the right to even exist? When Detective Inspector Roger Bailley returns to work as Robyn, all she wants is to get on with the job she loves while finally being herself. When toddler Ben Chivers is snatched from a shopping centre on her first day back at work, Robyn has to find Ben and herself as she deals with the reactions of her police colleagues, the media and her own daughter. 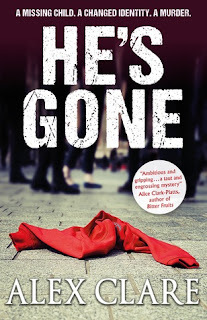 My Thoughts Lucky enough to receive an ARC of this from the publishers and I wasn't really sure what to expect, as the topic of gender dysphoria is quite prominent throughout the story - Detective Inspector Roger Bailley returns to work but this time as Robyn so we get to see the reaction of colleagues, family, friends and members of the public as she settles into her new life, while trying to track down the whereabouts of toddler Ben, who goes missing while out shopping with his nanny. 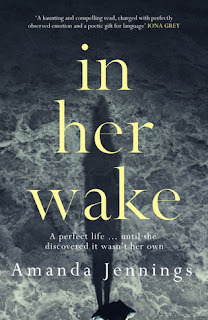 It is a fascinating take on the crime scene and doesn't overshadow the mystery at all as there are many clever twists that had me guessing til the end. Pleased to see there intends to be a return of Robyn Bailley in the future and look forward to seeing how her story continues. So, not a bad week eh! How has your week in books been? Productive I hope! Still got quite a pile or two (!) of books lined up for myself to enjoy so now to get choosing my next adventures! Would love to hear what you are reading at the moment or if you have read any of the above!